As an interested voter in Alexandria, I attended the recent Chamber of Commerce debate and heard Vice Mayor Justin Wilson tout his ability to build coalitions on city council. He also criticized Mayor Allison Silberberg for being the lone vote of opposition in several 6 to 1 council decisions. What Wilson failed to point out is that Silberberg, in those votes, has not been afraid to buck the majority when she feels that it is in the best interest of Alexandrians. A case in point is the Karig Estates development, approved by council on a 6 to 1 vote. 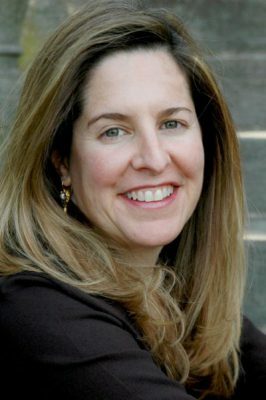 Silberberg was the only member who listened to the environmentalists and the neighboring community and paid attention to their quality-of-life concerns. Wilson and the other council members instead sided with the developer, and against the neighborhood – as well as against geological experts and the Sierra Club – who warned of environmental consequences. Wilson also initiated and then led the charge for a record tax hike in 2017 that more than doubled the amount proposed by the city manager in another 6 to 1 vote. Silberberg was the lone voice opposing the record tax hike. She instead urged the council to support the city manager’s proposed budget with a 2.7-cent tax rate increase, which would have met the city’s financial needs and the request by the superintendent of Alexandria City Public Schools for education. People want to see their tax dollars go to specific, well-defined needs. However, the additional money generated by Wilson’s historic tax rate increase was not dedicated or set aside for any specific project, but will be used for unspecified needs to be determined at a later time. I fully support Silberberg for re-election on June 12, because I want a mayor who cares deeply about the people and who supports smart growth. Silberberg is a leader who never forgets that it is the citizens of this town who make this growth possible and that Alexandria’s government must be for the people. I am voting for Silberberg because I want a mayor who will have my back, reflects my values and hears my concerns.